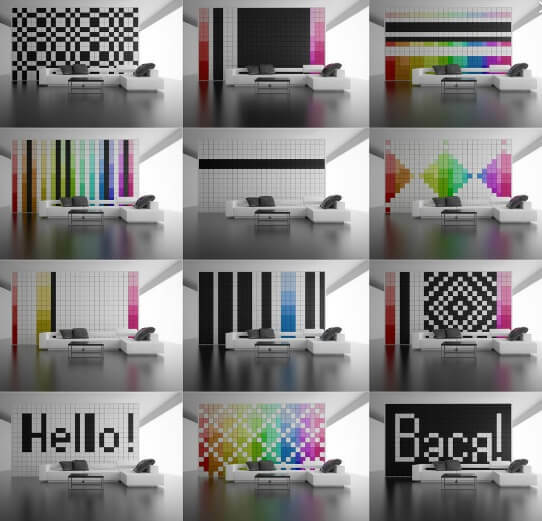 In the future, changing instantly your wall color will become a reality. Due to a simple and ingenious prisms system, you’ll be able to transform the style of a space with the flick of a wrist and create any design you want for your wall. Designed by interior designer Amirkhan Abdurakhmanov (Amirko), the “Change it!” wall concept will make use of a series of prisms that will be attached through rods, which could then be adjusted to configure your wall in numerous cool combinations of unique colors. So, whenever you get annoyed by the same wall style, forget about painting and wallcoverings and try this new experience. It will be in production soon according to Amirko.